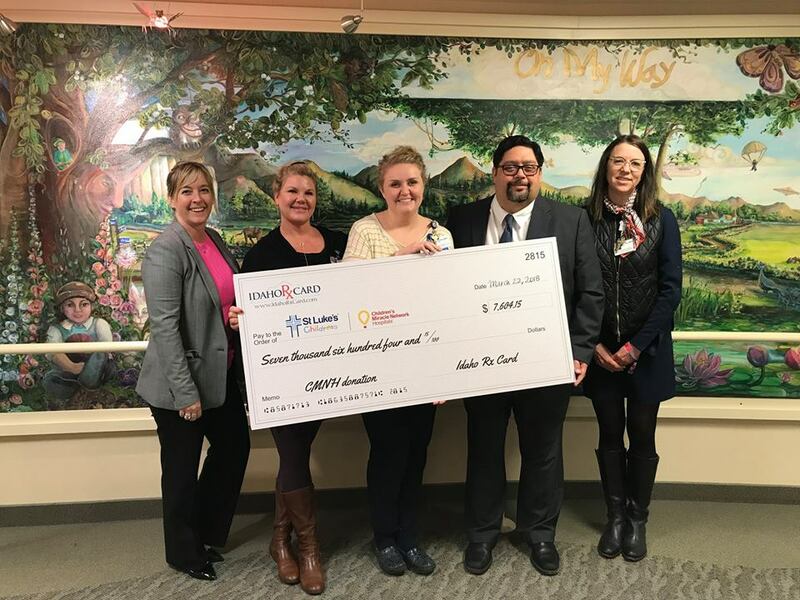 Idaho Rx Card‘s Mike Denney presents a check to St. Luke’s Children’s Hospital in Boise, ID. Each time a prescription is processed through Idaho Rx Card, a donation is made to the hospital. Photographed here with Mike from left to right is Katie Apple, Senior Director of Operations, Val Dempster, Care Coordinator, Julie Barfuss, Care Coordinator, Kathryn Beattie, MD, Executive Medical Director & Administrator. Thank you for all you do!